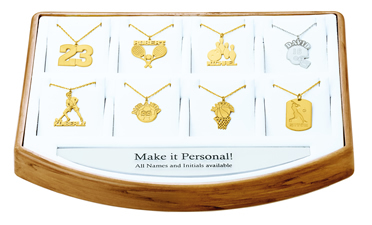 This 8 piece personalized kit is a good representation of our entire personalized collection. This sports themed Sample Kit targets teams and players for multiple sales. The Kit comes with 8.